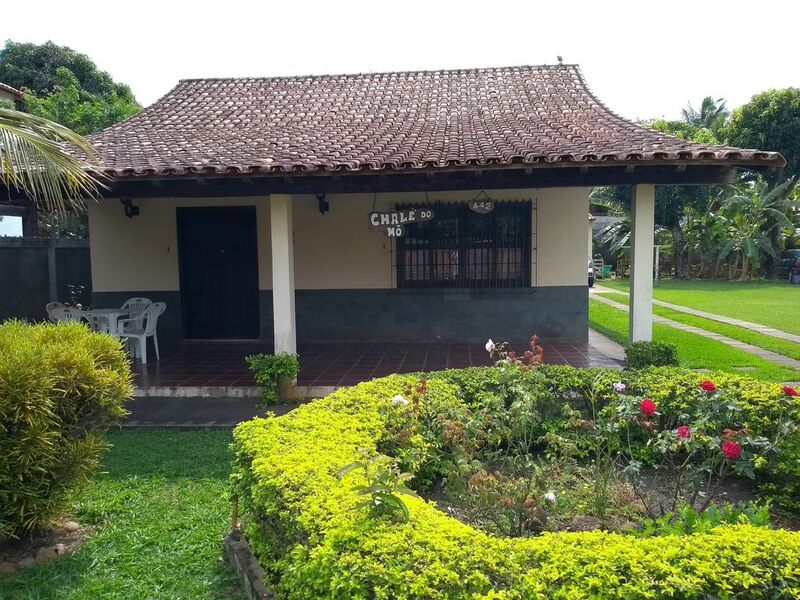 For rent independent house, consisting of 4 bedrooms (2 suites), living room, kitchen (refrigerator, stove and microwave), 3 bathrooms, gourmet area with barbecue and refrigerator, balconies, large backyard, openings for 7 cars and located 800 m from the beaches of Tartaruga and Bosque, commerce and 1.5 km from the center of Rio das Ostras. Air-conditioned in 2 of the bedrooms, one of them being the main suite. Rio das Ostras is all good The beaches are wonderful, worth visiting all. The beaches of Centro and Tartaruga are the most visited beaches, full of tourists. Beaches of the Cemetery and Boca da Barra are quieter, great for children. Joana Beach is, in my opinion, the best beach in the city, clear waters and small stretch of sand. Virgin, Brava Beach, almost deserted. Black Sands is tiny, almost hidden. Costa Azul, urbanized border, very frequented, a beautiful view, good to take pictures on the boardwalk and in the square of the whale. Lagoa de Iriri, also known as Coca-Cola lagoon, because of the color of the water is shallow and the waterfront is beautiful, has a belvedere, you can see almost the entire city. Muito obrigado por sua estadia e pela avaliação, saiba que meu imóvel estará sempre à sua disposição para futuras locações e tentarei melhorar ainda mais para atender às expectativas da melhor forma.